I’ve heard it said that we can learn a lot about a person by their car. But how about if we flip that around and ask what we can learn from our car? Is your car a newer model, maybe a really nice dream car? Maybe you just bought it after wishing for it for a very long time. You keep it clean, inside and out. You wax it and protect it. It looks beautiful ….. in your driveway. But you’re afraid to take it out for fear that it may get damaged. This car has a cost – and it probably wasn’t cheap. Not only did it have an initial cost but it has an ongoing cost of insurance, gasoline, taxes, upkeep and possibly repairs. Maybe you don’t have a new luxury car. Maybe your car is an older model with tens of thousands of miles and you’re afraid that it is going to break down on you so you limit the places and distance you drive it. It also sits in your driveway more than it is driven. In Biblical dream interpretation, vehicles usually represent a person’s ministry. We all have a ministry whether we know it or not. Let’s think about this with the parked car in our driveway. Is the car being used for what it was created for? Can it transport us from place to place while it is parked in the driveway? A car is meant to be driven just as our ministry is meant to be shared. If our car is parked in our driveway and someone wants to follow us, they wouldn’t get very far in their journey. If we desire a ministry that others want to follow and we want to share Jesus with all those He puts in our path, we first have to create the path. We create the path by driving out and about in the world. Our car cannot drive itself just as our ministry cannot drive itself. For others to actually follow us in our ministry with Christ, we must put ourselves in the driver’s seat. But we can’t stop there. We must also have the keys, put them in the ignition and put the car in gear and begin driving. Take the plunge and start driving today. After the death of Moses the Lord’s servant, the Lord spoke to Joshua son of Nun, Moses’ assistant. He said, 2 “Moses my servant is dead. Therefore, the time has come for you to lead these people, the Israelites, across the Jordan River into the land I am giving them. 3 I promise you what I promised Moses: ‘Wherever you set foot, you will be on land I have given you— 4 from the Negev wilderness in the south to the Lebanon mountains in the north, from the Euphrates River in the east to the Mediterranean Sea in the west, including all the land of the Hittites.’ 5 No one will be able to stand against you as long as you live. For I will be with you as I was with Moses. I will not fail you or abandon you. Notice that God tells Joshua twice that Moses is dead (v. 1 & 2)! He wants Joshua (and us) to know that we have to reach a point in our journey when we stop relying on being in the shadows of another’s ministry and take the reigns of our own ministry. This is that turning point in Joshua’s life. Moses is dead and Joshua is fearful. Have you been there before? I know I have! And God is not play favorites so what He did for Joshua, He will also do for us today! This is truth. Put the keys in the ignition of your car, put it in gear and start driving! God has us covered. He gives us the engine (the power) of the car – the Holy Spirit – to lead us and move us forward in our journey. He is our Provider who always, without fail, gives us more than enough. He desires to fill each of us every single day. He desires to fill us with His living waters. He desires to fill us with His Word. He desires to fill us with life and He will never leave us nor forsake us. How hungry are we to take our car out of the driveway? 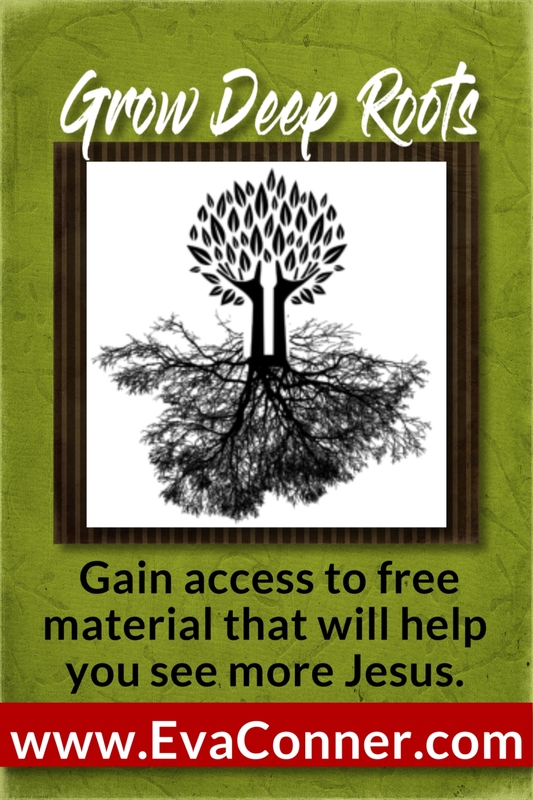 In my prayer time recently, I had a vision of Jesus looking to and fro. He had what appeared to be binoculars and He was looking left to right and right to left. Jesus is looking for willing drivers to get into the parked cars. There are too many people waiting on Jesus to come and make our world right again. Wake up! He is waiting on us to make the world right. He desires to use us as His voice to share truth. Only when we hear and meet truth from Jesus will we ever experience true freedom. We have the very power in us that raised Jesus from the dead. This is truth that we all need to know every single minute of every single day. We have the very power in us that raised Jesus from the dead. The resurrection power. We can revive and raise those things that are dead. We can move those parked cars in our driveways. We can revive our homes, our families, our marriages, all of our relationships. The power of the Holy Spirit is in each of us. Let’s look at it in Scripture. All throughout the Word of God we see a pattern that is still true today. God speaks, the Spirit acts and things are done. And guess what, God’s words are just as powerful in our mouths as they are in God’s because He lives in us. So if we speak the Word into our lives (which we do when we get in the driver’s seat and put the key in the ignition and the car in gear), the Spirit will act (by bringing the engine to life) and things will get done (as we drive along our journey). It’s that simple. Start reading and speaking the Word today and get it within your heart and very being. Become saturated with the Word. Eat the Word. Consume it day and night. Get in your car and start driving using the Word as your fuel. Amazing things start to happen when we move into our calling. We start to experience peace when before we would have been experiencing turmoil. We have joy even in the midst of sorrow. We are no longer afraid of the temporary, fleshly existence because we know that we are just visitors here. Our true citizenship is in heaven – now, in the body. We learn that we do not have to wait until we die to belong to heaven. We are called to a higher standard of living in the body. We are called to show Jesus in our words, our actions, our living. Think about it this way, if we don’t show Jesus, some people may never see Him otherwise. We have to raise ourselves up to the life worthy of showing Jesus. This takes action on our part. Start driving today. I hope this word resonates in your heart as it does in mine. I’d love to hear from you. Please leave me a comment letting me know what you think about this word. If it changes your view on how you see your own ministry, I’d love to know. Thanks for the comments and thanks for sharing this site with others. We should all have the goal of sharing Jesus with others. Let’s share today. « Are You Tapping into God for All Your Needs? Eva, I’m in awe of your writing and this message was spot on for me today. We HAVE to keep going because there is so much at stake. I thank the Lord that He had me stumble across your blog today. What a blessing it is to meet you! Thank you, Natalie! It is a blessing to meet you as well. The Lord really has been speaking to me a lot about how few workers He has to bring in the harvest. It’s my pleasure to share these words in the hopes of encouraging others to get moving! !